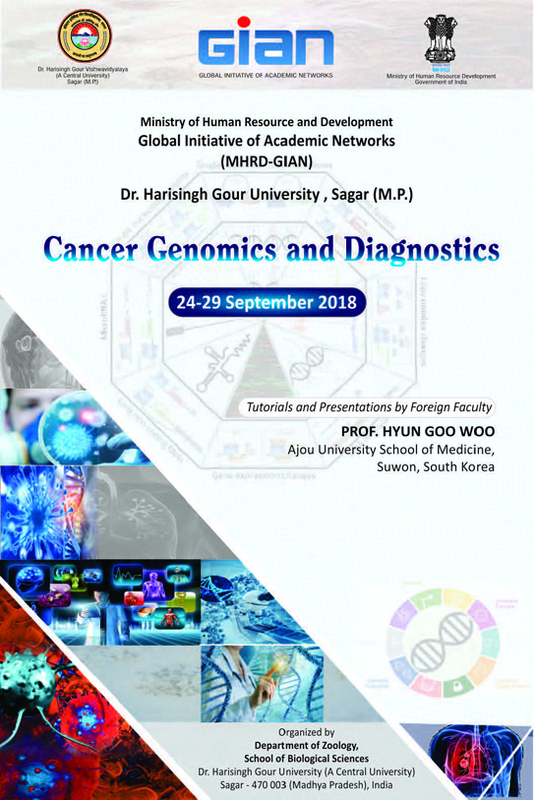 A MGRD-GIAN program in “Cancer Genomics and Diagnostics” at Dr. Harisingh Gour University, Sagar is being organized during 24-29 September 2018 under expertise of foreign faculty Prof. Hyun Goo Woo (Ajou University, South Korea). 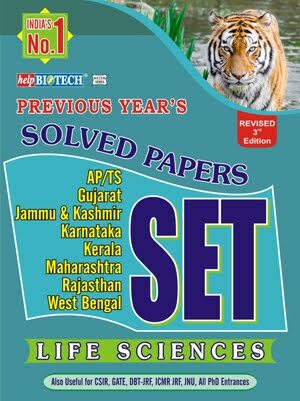 The program will be organized in two modules: module ‘A’ tutorials followed by module ‘B’ demonstration of research work. Course participants will learn theoretical and technical aspects of cancer research. 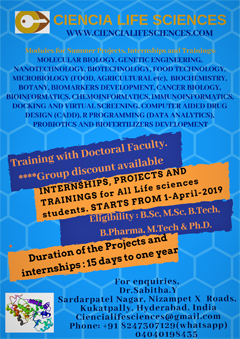 Participants will also take part with assignments, demonstrations, and skill development sessions for motivation in cancer research. · Academic students at U.G., P.G. and Ph.D. levels and postdoctoral fellows with special interest in cancer biology research. · Faculty members working in the area of modern biology with special interest in cancer research. · Industry members with special interest in developing diagnostics, for disease management, and drug development. The above fee includes all instructional materials and working lunch. Follow instructions at “Courses Registration Portal” and submit login details and brief academic details. Rs. 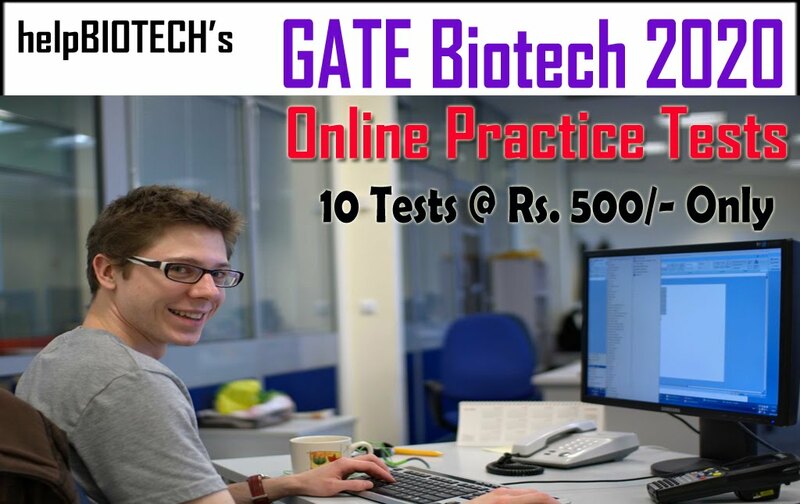 500 is required to be paid for registration at GIAN portal. Participants then need to select CANCER GENOMICS AND DIAGNOSTICS course from the list at “Course Registration” link. Finally submit the registration form, take a ‘pdf print’ and send to us by Email. 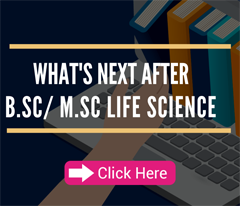 Selected participants will be informed to submit the “Course Registration Fee” in the form of demand draft made in favor of “The Registrar, Dr. Harisingh Gour University, Sagar”. 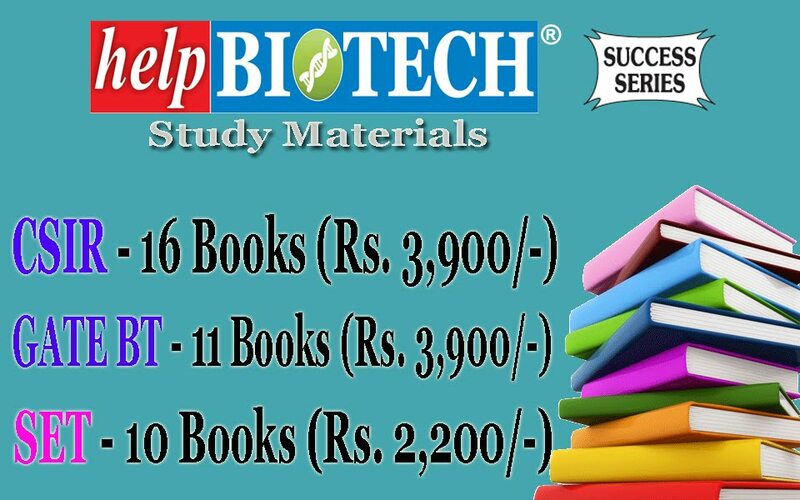 SEATS LIMITED in number and preference will be given to scholars in the related research area. LAST DATE: 15th September 2018. ACCOMMODATION: The participants may be provided with accommodation on payment basis. CONNECTING TO SAGAR: Sagar (Saugor: SGO) is a focal point of two national highways and many state highways. It is about 190 km from Bhopal on the state highway, about 200 km from Jhansi on NH26, about 180 km from Jabalpur on state-highway, about 70 km from Bina. Sagar is situated between Bina-Katni section on the rail map, 75 Km from Bina Junction and 188 Km from Katni Junction. Nearest airports with regular domestic flights are at Bhopal, Jabalpur and Khajuraho. It takes 3–5 hours by road to these airports.